2 New England Historical and Genealogical Register, (New England Historic and Genealogical Society), 1885, Vol. 39, p. 324. 3 New England Historical and Genealogical Register, (New England Historic and Genealogical Society), 1982, Vol. 136, p. 101. 4 New England Historical and Genealogical Register, (New England Historic and Genealogical Society), 2008, Vol. 162, pp. 5-7. 5 Anderson, Robert Charles, The Great Migration Directory: Immigrants to New England, 1620-1640, A Concise Compendium , Boston, Massachusetts: New England Historic Genealogical Society (2015), 71. 6 Anderson, Robert Charles, The Great Migration: Immigrants to New England 1634-1635, Vol. III, G-H , Boston: New England Historic Genealogical Society (2003), 190-191, 255. 7 Anderson, Robert Charles and others, The Great Migration: Immigrants to New England 1634-1635, Vol. II, C-F , Boston: New England Historic Genealogical Society (2001), 137-140. 8 Cogswell, Rev. William, The New Hampshire Repository, Gilmanton: Alfred Prescott (1846), 136. 9 Cutter, William Richard, Genealogical and Personal Memoirs Relating to the Families of Boston and Eastern Massachusetts, Volume 2, New York: Lewis Historical Publishing Company (1908), 903-904, Internet Archive (Digital Library). 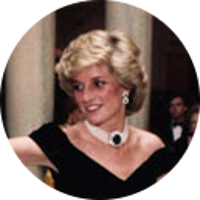 10 Evans, Richard K., The Ancestry of Diana, Princess of Wales , Boston: New England Historic Genealogical Society (2007), 330. 11 Ferris, Mary Walton, Dawes-Gates Ancestral Lines: A Memorial Volume Containing the American Ancestry of Rufus R. Dawes, Milwaukee, Wisconsin: Wisconsin Cuneo Press (1931), Vol. 1, pp. 129, 188-189, Ancestry.com (Online Database). 12 Jameson, E. O., The Cogswells in America, Boston: Alfred Mudge & Son (1884), xii-xiii, 1, 6, Internet Archive (Digital Library). 13 Pope, Charles Henry, ed., Paine Ancestry: The Family of Robert Treat Paine, Signer of the Declaration of Independence, Including Maternal Lines, Boston: Printed for the Family (1912), 130. 14 Roberts, Gary Boyd, Notable Kin, Volume 1 , Santa Clarita, California: Carl Boyer, 3rd (1998), 139, 173-174, 182, 215. 15 Roberts, Gary Boyd and William Addams Reitwiesner, American Ancestors and Cousins of The Princess of Wales, Baltimore: Genealogical Publishing Co., Inc. (1984), 30-31, Ancestry.com (Online Database). 16 Roberts, Gary Boyd, comp., Ancestors of American Presidents , Boston: New England Historic Genealogical Society (2009), 466.